Receive the latest updates on organic research and knowledge transfer with OACC's monthly newsletter. OACC is a collaborator within Organic Eprints, an international open access archive for papers and projects related to research in organic food and farming. 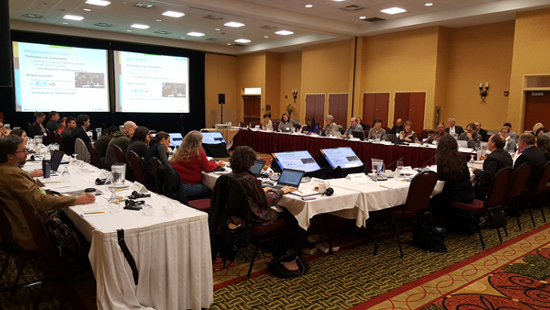 The Organic Value Chain Roundtable, with members representing a wide cross section of the Canadian organic community, met in Ottawa on March 1 & 2. The Organic Federation of Canada (OFC), in collaboration with Dalhousie University’s Organic Agriculture Centre of Canada (OACC), are pleased to announce the Call for Letters of Intent for research in Organic Science Cluster III (2018-2023). This Letter of Intent process is being conducted in anticipation that Agriculture and Agri-Food Canada’s next Agricultural Policy Framework will include another Science Cluster Initiative. The deadline for submission of Letters of Intent is April 10, 2017. Please read this document carefully, as it provides details of the application process, priority research areas, and further guidance about what should be included in a Letter of Intent. 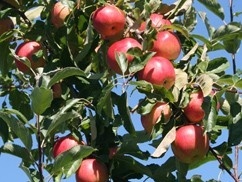 The organic sector has been undergoing a national assessment of research priorities. While a full assessment is not yet complete, preliminary results of the research needs assessment have identified the priorities that can help inform applications to Organic Science Cluster III, to supplement the Letter of Intent Guidelines for Researchers. Please note that due to time and budget considerations, this Call for Letters of Intent is being issued in English and we request that all Letters of Intent be submitted in English. Evaluating the diversity of soil microbial communities in vineyards relative to adjacent native systems.